Available as TDI340 DSG short and long wheelsbase. The system continually evaluates steering movements and other signals, and if fatigue is detected, recommends a break. (Standard on Highline and Executive models. Not available on Comfortline). 2Safety technologies are designed to assist the driver, but should not be used as a substitute for safe driving practices. The Multivan has airbags for the driver and front passenger, as well as side and head airbags. 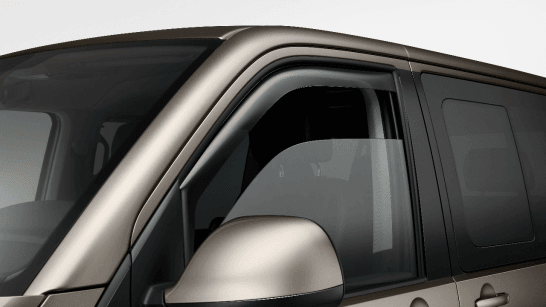 Curtain airbags provide protection for passengers in the rear for short wheelbase models. The 4MOTION all-wheel drive coupling ensures excellent traction, optimal handling and steering response and dynamics. (Available for Highline TDI450 model only). Helps you stay in some control by preventing understeer or oversteer via targeted braking of individual wheels. A radar sensor detects when the distance of vehicles in front are critical. 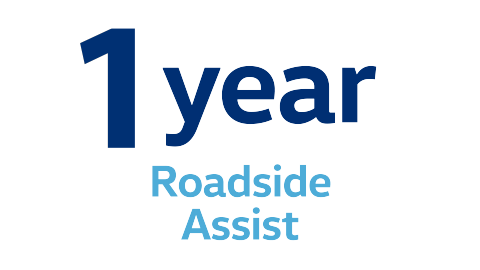 It alerts you, as well as prepares the vehicle to be more responsive for emergency braking, as well as brings you to a complete stop if need be. (Only available on Multivan Highline and Executive). Adapts your Multivan’s speed to that of the car driving in front and maintains the distance set by the driver. At the same time, it remains within the set speed. When cornering, it responds to the load relief at the front wheel on the inside of a corner. This improves traction and reduces the tendency to understeer. Control your smartphone's screen, selected apps, maps, and music through App-Connect on your console's touchscreen - using Apple CarPlay® and Android Auto™ interfaces. 1App-Connect is compatible for selected apps with the latest smartphone versions of iOS and Android. Consists of a 16.5cm TFT colour display, touchscreen with proximity sensor, MP3 and WMA CD drive, six loudspeakers, SD-­card slot, an AUX-IN interface, a USB port and a Bluetooth connection. The Discover Media Satellite Navigation System* brings all the features from Composition Media plus more, including navigation. With Voice Control you can use your phone, navigation, and audio functions without taking your hands off the steering wheel. Alternatively, with Media Control, you can use your smartphone or tablet as a remote control for the navigation system, audio system. (Optionally available on Comfortline models). A camera built into the tailgate of your vehicle that lets you spot any obstacles behind you quickly and easily, helping with reversing. Precise lines and powerful contours define the Multivan's distinct shape and bold design, which all come together to create an appearance that people won't forget in a hurry. No matter what you have in mind for your Multivan, it’s got you covered. With its ultra-configurable cabin space, the versatile Multivan is ready for whatever you throw at it. (Image shown of Multivan Highline). 3Fuel consumption figures according to Australia Design Rule (ADR) 81/02 derived from laboratory testing. 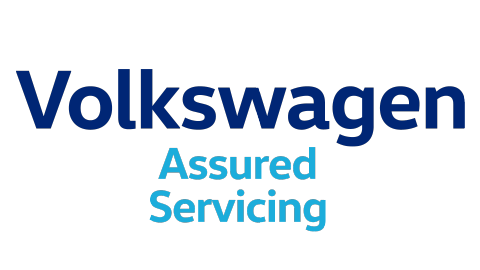 Factors including but not limited to driving style, road and traffic conditions, environmental influences, vehicle condition and accessories fitted, will in practice in the real world lead to figures which generally differ from those advertised. Advertised figures are meant for comparison amongst vehicles only. TDI450 with 150kW of power and 450Nm of torque. Fuel consumption figure of 6.5 is for 7-speed DSG3. 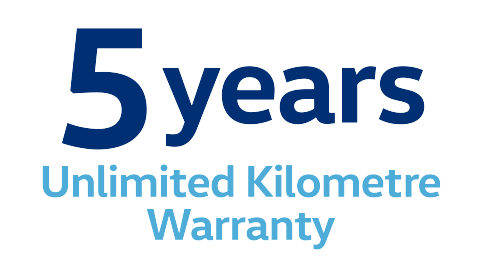 BlueMotion Technology lowers fuel consumption and reduces emissions. It comes from our 'Think Blue.' concept: to develop fuel-efficient vehicles that place less burden on the environment over their entire lifetime. Automatically stops the engine when you come to a standstill, cutting back on fuel consumption, and then starts again on take-off. Stretch your legs or pack more luggage. Thanks to the innovative seat rail system all seats in the passenger area, plus the convenient multi-function table, if you have one, can be repositioned. Multi-function table optional on Comfortline models. Multivan's captain's chairs easily swivel on their base to face either forwards or backwards. They also feature armrests and child seat anchor points. This table not only provides a handy round surface, but also several drawers for small and large utensils. When not in use, the table turns and lowers into the base. (Available as an option for Comfortline, standard on Highline and Executive). The captain's chairs with armrests can be changed from a standard seat - with a three-point safety belt - into a seat with a child's booster seat - all without breaking a sweat. Adjust the front seats, in terms of lumbar support, backrest tilt, seat height, seating surface tilt and length and heating, at the press of a button - with the ability to save three configurations. Standard on Highline and Executive, not available on Comfortline. Equipped with a number of electronic trapping protectors, the sliding doors are easy to operate using either the remote control or a button in driver’s cab. The electronic tailgate, with programmable opening angle, can be opened and closed via the Multivan's ignition key. Sensor strips prevent the door from closing on your fingers. (Standard on Highline and Executive; not available on Comfortline). Used to cool and warm the contents. The optional 32L insulating box can hold 1.5L bottles lying down, and 1L bottles standing up. With a ton of accessories to choose from, you can personalise your Multivan to be just right for you and the job you need it for. 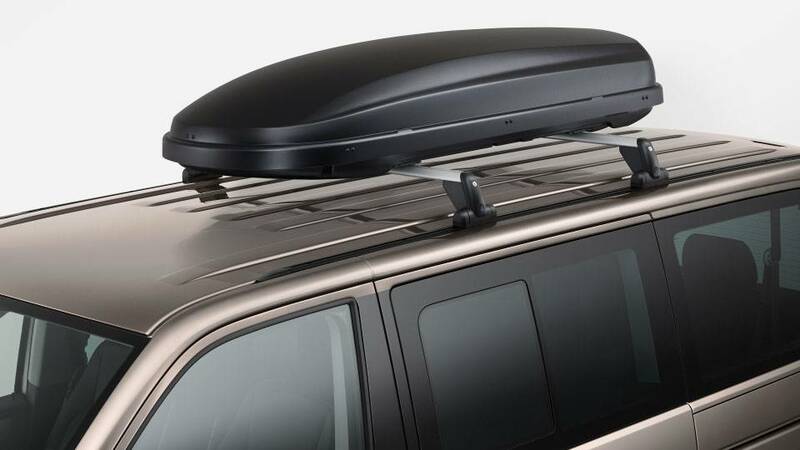 For that sneaky weekend away or weekend helping a mate move, Volkswagen genuine roof bars and box will help carry the load. With these nifty accessories you’ll be able to keep the inside of your Multivan tidy and free of clutter. 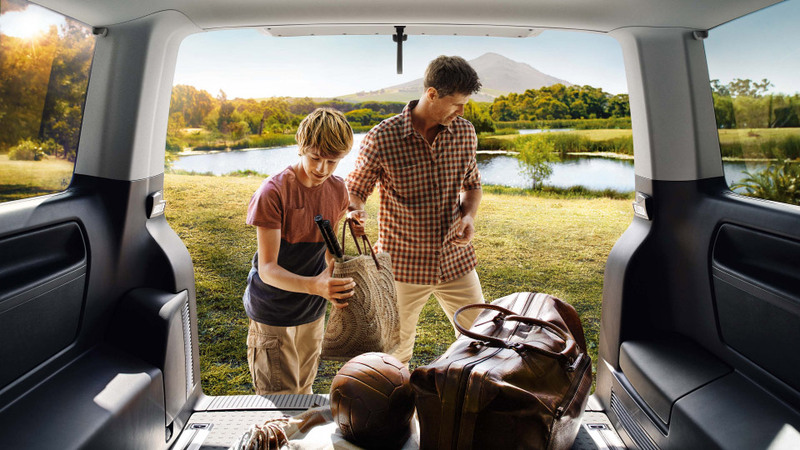 Protecting yourself and passengers against the elements while still letting fresh air into your Multivan. 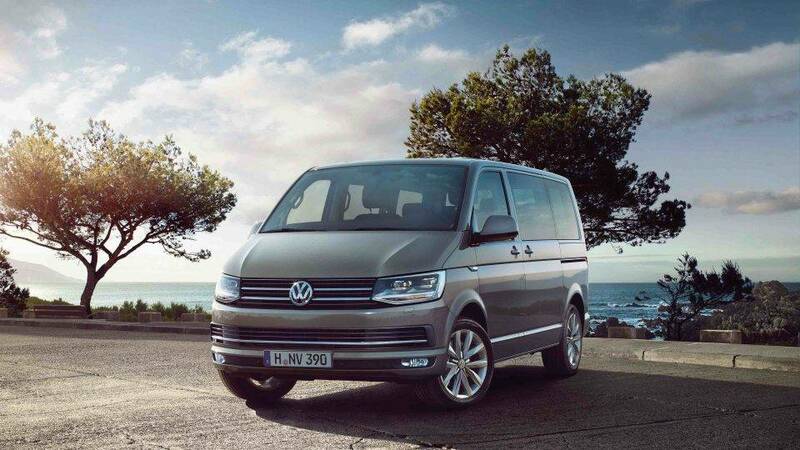 Take a closer look at the information for the Volkswagen Multivan. City Emergency Brake: *Safety technology are not a substitute for the driver’s responsibility of the vehicle. Standard for Multivan Highline and Executive. Adaptive Cruise Control: *Safety technology are not a substitute for the driver’s responsibility of the vehicle. Standard for Multivan Highline and Executive. 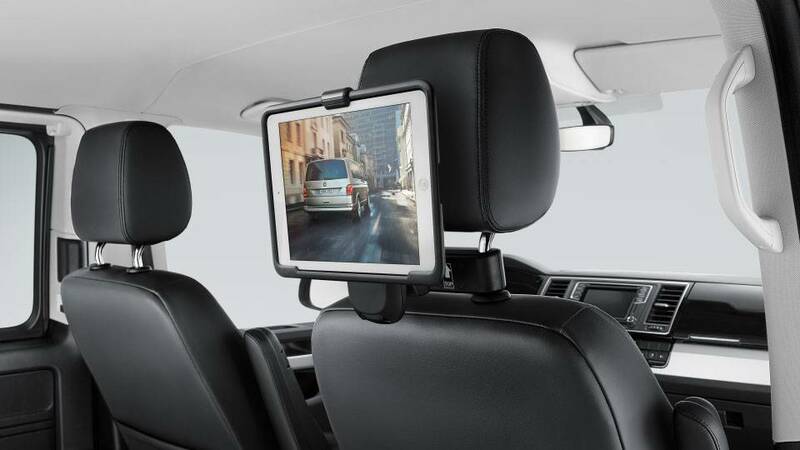 Rear view camera: *Safety technology are not a substitute for the driver’s responsibility of the vehicle.